Ian Ball, president and CEO of Abitibi Royalties, discusses the gold price, M&A activity and his company’s plans for 2019. 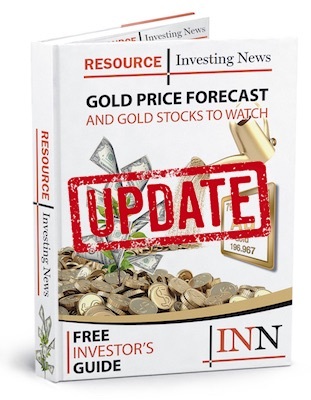 Sentiment toward gold is generally positive at the moment, but Ian Ball, president and CEO of Abitibi Royalties (TSXV:RZZ), thinks the yellow metal may trade flat for the foreseeable future. “I think the gold market right now reminds me very much of the 1980s,” he said at the recent Prospectors & Developers Association of Canada (PDAC) convention, citing the economic environment surrounding the yellow metal, including interest rates and the equities market. That doesn’t mean gold won’t have some price swings. According to Ball, it could see both ups and downs. Profitability is key in this type of gold price environment, said Ball, noting that Abitibi Royalties is pursuing profitability in a number of ways right now. Those include buying back shares, not issuing stock options and only acquiring new royalties through cash. In general, he suggested that investors should look to mining companies that treat shareholders fairly. “I think you want to gravitate towards those types of companies because they’re few and far between in the mining industry,” he said. Watch the video above for more insight from Ball on the gold market. You can also click here to view our full PDAC 2019 interview playlist on YouTube.